What is a 2nd Mortgage? And when can it be eliminated? A second mortgage, sometimes called a second lien, on real estate is a loan given either at the time of purchase or taken out later and secured by the real property, which often is your home. A second mortgage refers to a junior lien or mortgage that has a second position in the heirarchy of liens in their claim for value against the real estate in question. In recent years, 80/20 loans for the purchase of real estate were popular as a means or cirumventing down payment requirements or the need for additional insurance. 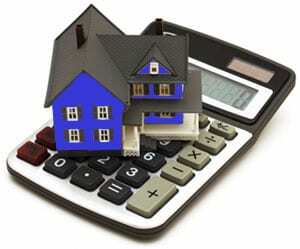 The “20” refers to a second mortgage for 20 percent of the purchase value. In essence, the loans for the purchase of the property were broken down into two loans: a first mortgage for 80 percent of the purchase price and a second mortgage for 20 percent of the purchase price. Additionally, during the real estate boom of the mid- 2000’s, another popular method of obtaining a second mortgage was through an open line of credit secured by a second mortgage in many cases a line of equity against the house. Because of the rocketing values of homes at the time, lenders saw this as a safe risk. Now during the real estate market crash and turmoil of recent years many of these second loans/mortgages are no longer secured by home values as the values have sunk below what is owed on the first morrtgage. Homes that are worth less than is owed on them are commonly referred to as “underwater“. To eliminate a second mortgage in bankruptcy the full balance of the loan must be considered “unsecured” or that there is no equity in the value of the house for the loan to attach to. As home values have “sunk”, many second mortgages have become under secured or unsecured. This drop in real estate value has created an opportunity to remove or eliminate a second mortgage completely. TO TALK TO AN ATTORNEY ABOUT REMOVING YOUR SECOND MORTGAGE CALL 1-800-662-8813 OR CLICK HERE.